Canadian short track speed skater Charles Hamelin is a national hero, having racked up five Olympic medals (three being gold) on top of holding the 2018 title of World Champion in his sport. Competing at the highest level requires determination, discipline, intense training — and of course — a healthy diet. You can imagine our excitement when he tagged @goodfoodca showing off his latest Goodfood culinary creation, Yogurt-Tahini Marinated Chicken – with Chopped Salad & Herbed Rice! With the busy, demanding schedule of a professional athlete, finding the time to meal plan and grocery shop is a challenge. Charles says that part of his secret to managing his time while maintaining a balanced and varied diet is his weekly Goodfood delivery. We asked Charles if eating Goodfood every week would help us achieve our dream of becoming Olympians too. Apparently, it takes a little more than that — who knew? 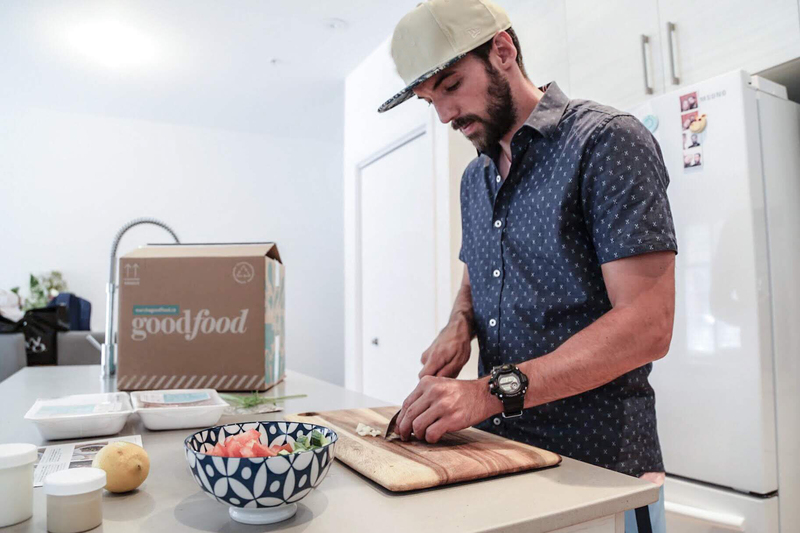 Skate over to @charleshamelin on Instagram to see what he’s up to and, most importantly, what he’s cooking, and don’t forget to follow and tag your culinary adventures with us @goodfoodca!